Multiple scenes of Sherman County, Kansas. In the Bethune, Colorado photograph pictured left to right, Nora Howerton, Mabel Braden, Ella Howerton Braden, Lenore Braden Parker, and Jerome Braden. 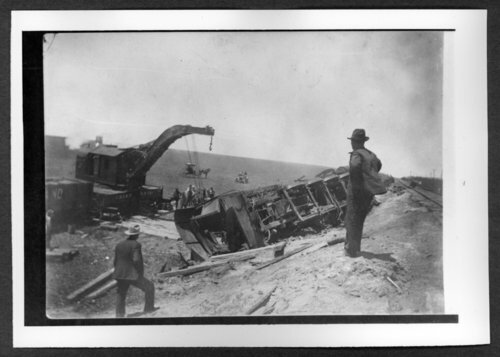 Scenes of Sherman County, Kansas - Rock Island train wreck.